Mark was great always keeping us informed , an amazing service. Would recommend. Every person I dealt with at Esale was professional and helpful. Excellent service from the team at eSale. Very good at keeping us informed of progress during the sale process. The guys at esale were great! I would definitely recommend, as a big saving over the traditional estate agent and more of a personal experience to the larger online agencies. Professional yet friendly service. Very efficient and our house sold within 2 weeks. I highly recommend them. Have been with esale for a week, having paid upfront. Setting up the advert was quick and easy. We are having lots of viewings and communication with esale is excellent. So far so good. Highly recommended. I have just bought a property through e-sale, I found their service excellent and their attention to detail in taking us through the process and smoothing out any potential problems was second to none, I fully recommend them for the buying process. Gerry F. Essex. After what we thought would be an easy, simple sale with a short chain, our buyer turned out to drag the sale with issues ongoing for many months. If it had not been for the dedication and hard work of Mark and Dave, then our property sale would have definitely fallen through on many separate occasions. They were always available to chat and if not around they would call you back when they said they would (highly unusual for an estate agent!). Mark went above and beyond his role to constantly be on top of any issues and deal with them instantly. I would HIGHLY recommend these guys for an estate agent and will definitely use them again. Without a doubt they have given us a greater service than any previous high street agency we have used and they have more than earned their low fees they charge. Excellent experience. esaleuk did everything to sell my flat. Their advice during the process was also very helpful. Excellent company to deal with. I would recommend them to anyone purchasing a property. Excellent communicators. Without a doubt, I can honestly say my experience with esale has been second to none! They proved to me time and time again that they are not only reliable and professional but they went beyond to help with all aspects of my sale. They were even available over the bank holiday to take calls when other estate agents were having a long weekend! They are a small company but you would never know it as I found I could rely on them to get back to me and organise everything extremely quickly. I have sold houses before but never received such a fantastic service for so little. My best purchase of the year!!!! Well done guys your the best. Esale proved to be a good choice for us. Probably the best experience we have had from any estate agent. They strike a balance between being professional and friendly with careful guidance throughout. They managed the offers and sale process perfectly even when we were getting a bit anxious. We used our own asking price and sold for £5000 more in less than 48 hours. Esale dealt with all negotiations and vetted the buyers carefully. We would recommend Esale to anyone. The saving against traditional agents is substantial and well worth it. We know some other online agents are poor – we’ve experienced that from the buyer’s side. Some local agents are too, especially those who bring too much attitude and too many of their own prejudices. Esale does not bring any baggage, they just do a good professional job of helping you sell your house. I did a review of all online estate agents before selecting eSale based on price and their excellent customer feedback. I was managing the sale for my elderly parents to reduce their stress levels for moving house. The service from eSale was first class. Mark in particular was excellent and was friendly and professional throughout the entire process. We were the first house that eSale sold in Scotland. I am sure there will be many to come. Very highly recommended. We recently made use of the services of eSaleUK to sell our house, we are so glad we chose them. The property is located in an area that currently has a turbulent market, sadly we suffered a few set backs with potential purchasers (buyers changing mind after offers made), requiring a fair bit of leg work from Mark and his team at eSaleUK. We were very, very impressed by the professionalism and manner shown, nothing was too much trouble. All the benefits of an online service, with a real person to talk to when needed. We would, and will use eSaleUK again in a heart beat. I would like to say a big thank you to Mark and the whole team at Esale as they have been incredibly helpful and efficient throughout the whole process. They arranged very quickly for good quality photos/map/description to be taken and our home was on the market and on rightmove and zoopla just days after we appointed them. 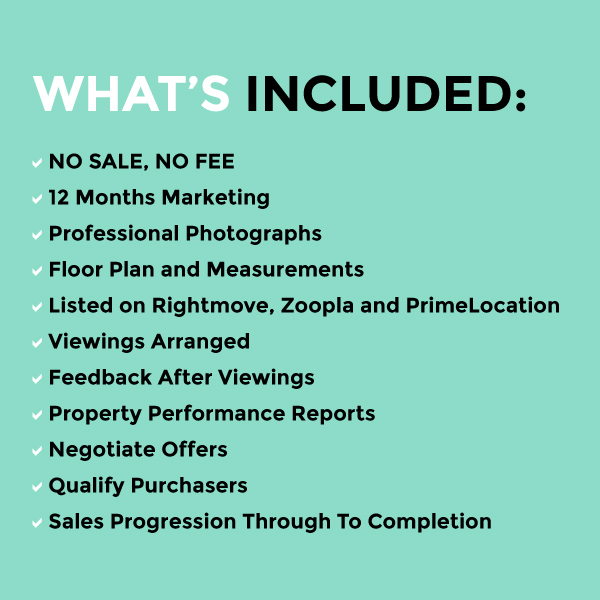 We were happy doing the viewings ourselves as we know our home the best and were able to answer all the questions straight away and meet personally potential buyers, which is very important. We had lots of viewings straight away and our flat was under offer in just about two weeks after we put it on the market which was amazing in the current housing climate. I would recommend anyone should go with Esale when selling as they have very transparent and straightforward terms and conditions and more than competitive fees. High street estate agents we used in past occasions had been very pushy and inefficient, and very expensive. The Esale team has been very professional and friendly and beyond helpful. They also work 7 days a week and are very responsive to emails and phone calls. I recommend them without hesitation. An incredibly professional company, we dealt with Mark Radford who was very friendly and in touch with us throughout the whole process. I would highly recommend this company. Very pleased with how the sale of our property was handled, will definitely use again. Would def use this company if I was to move again , I found them to be very professional and gave great service . The eSale team were great from start to finish. They kept me fully informed on how things were going and always replied promptly to my emails – highly recommended! We couldn’t recommend Esale enough, they have provided us with excellent service throughout the whole process of our house sale. Even though the sale process fell through and took longer than we planned, Esale stuck with us throughout and were more than accommodating when we had to put the house back on the market twice! They were great with staying in touch and keeping us updated, and also went above and beyond to help us out with viewings. The staff were extremely versatile and helpful, and we felt we could speak to any of them with our queries. A special mention Mark and Max, who were the main people we dealt with, and provided fantastic customer service. We shopped around different high street and online estate agents, and by far Esale were the best, providing a more personal service rather than just being another number like most main stream agents. We highly recommend this estate agent, as they were easy, effective and great value for money too! Professional, approachable and good communication. My 1st home bought stress free thanks to the team. Excellent service, an online estate agent who looks after the process with a personal touch rather than a call centre experience, they vet the viewings by verbally qualifying the potential purchaser from the start making sure they are in the right position to move forward if interested, this makes a big difference when you’re selling! Would definitely use eSale again and would recommend them to anyone I know. Very helpful, the staff I dealt with were always on hand to answer any queries I had during the process. Esale have been brilliant throughout. They are an online agent, but have the friendly, personal touch of a high street agent – in contrast with other online agents which feel more like call centres. Viewings were always arranged over the phone, rather than through an online system, and feedback calls were always made afterwards. But where Esale really shone was between offer and exchange. It was a long, frustrating and stressful time due to issues at the top of the chain, but Mark Radford was great, reassuring us and keeping us informed. He (as well as everyone at Esale) got back to emails and phone calls almost immediately, which makes such a difference, and hasn’t been our experience at all with other agents. He spent hours on the phone sorting things out, and patiently responded to every single one of our barrage of emails, to get us to exchange. And all for about a quarter of the cost had we gone with a high street estate agent. I wouldn’t hesitate to recommend Esale – we’re so glad we decided to sell through them! Outstanding 5 star service – Where do I start – outstanding service. Our sellers used esale and everyone else used expensive high street estate agents. There were so many delays and only 3 houses involved. The whole process from start to finish was about 5 months. Mark Radford from esale was the main person behind the sales pushing things along. If he hadn’t have used his patience and negotiating skills I don’t think we would have completed yesterday. The high street estate agents were worse that useless. Phoning them up to get an update on the situation was a painful experience as they didn’t seem bothered and you could tell by their tone of voice that they were put out by the constant chasing. If I knew then what I know now I would have used esale as I was so impressed with their service. I would highly recommend esaleuk.com. From start to finish my experince with them was faultless. Mark is very friendly , excellent communicator and listens . The value and service you get is excellent , compared to other estate agents i have had dealings with. I would wholeheartedly recommend eSale to anyone. The whole team have been friendly, professional and completely proactive in pushing our sale through to completion. In short an excellent company with even better service. I recently sold my flat using Mark and the team at eSale. They offered a superb service at a small fraction of the cost of a ‘traditional’ agent. They were always easily contactable and managed communications between the various parties skillfully and always with honesty. I couldn’t of asked for anything more from them. Would definitely use esale again! Being an online agent I did have my concerns but I was really pleased with the company. Definitely no complaints here! Excellent service received from esale when selling our house. We wondered if using an internet estate agent would be effective, but it worked out fine, at a fraction of what it would have cost us to go with a traditional high street one. Great service and was kept informed at all stages during the sale. Extremely happy with the service from eSale. Totally recommended! Superb Company. Have no hesitation in recommending esale.com Totally professional during the whole process from selling the house to exchange of contacts. Kept us informed every step of the way and were always polite and friendly. Esale marketed and sold my terraced house in Bedfordshire. I would have no problems recommending them (and already have done) as they were very efficient and always friendly on the phone. Updates were provided quickly after a viewing and even though it took a while to sell they dealt with each enquiry like it was the first. Really pleased with the service I have received from this team. Great experience, kept us informed on a regular basis and offered good advice during sale process. My one very slight negative comment would be that when I left voicemail messages on 2 or 3 occasions these never seemed to be picked up by the relevant person so I had to call again! However, I was more than happy with the service received and the price paid. I received a fantastic service and couldn’t fault them. They kept me informed throughout and provided advice not just on my sale but also any purchase. I would definitely recommend them and wouldn’t use anyone else. Hello my name is Mr Hopwood from Filey Yorkshire. I would like to thank all the team at esale. For a top class service. Sold our bungerlow with in 12 hours. Very helpful always there to help and answer the phone even on a Sunday. Thank you to all the team at esale. uperb service, our sale was not straight forward and they were always there on hand to help us out – we sold our property really quickly and got the price we wanted for it….. can’t imagine why you would go anywhere else!!! superb value and service. I didn’t imagine I’d ever find it necessary to leave an estate agent review as a purchaser, but I didn’t want my experience with esale in general and Mark in particular to pass by unrecorded. He was thorough, pro-active and helpful in every possible way, doing whatever was necessary to remedy any issue I called with, speedily and effectively. It seems to me that esale offer an all-round service which keeps everybody happy and I wouldn’t hesitate to use them if I was selling a property. My experience with eSale has been great. My house sale has not been easy, given an unreasonably bad survey in the early days, then my pulling out for personal reasons, then starting again with the market starting to go down. Throughout all these trials and tribulations, Mark remained calm and professional and helped me through the difficult times. And today contracts were exchanged, with completion in 3 weeks – at a price higher than I had hoped for! All thanks to Mark and the team at eSale. I want to march up and down my local high street with a banner advertising them! And to think I could have paid an extra £6,000+ to the agents down that high street for the privilege of seeing their shiny suits … Thanks to everyone at eSale; I am so grateful. Esale are very professional. We have just had an offer on our house and it only took just over a week. Every time we had a viewing we got instant feed back. Communication is excellent and very friendly and approachable. Only paying when the house is sold and no where near estate agents fees gives you peace of mind. Would highly recommend using them. Excellent personal service. Better than any high street agent. The quick, personal and non-pushy responses to my initial queries via email were what made me choose eSale. Once I gave the go-ahead, the photos were arranged quickly, the photographer was excellent and the advert was live (with floorplan) within two days of the photos being taken. Communication throughout was easy (via phone or email) and when one person was unavailable there was always someone else there to take a call, answer a question or take a message. Working full-time meant that the flexible communication was essential. And then, most importantly, eSale helped push through the exchange of contracts and completion within four weeks of the offer. Very helpful and friendly. Mark Radford was always happy to help. Couldn’t complain. My experience with E-sale was very pleasent. They are polite and friendly to speak to. They always call back when requested and even though they are an online estate agent, they have contractors all over the country who take care of signage, photography etc. I was happy to show buyers around as this works far better than having an agent do this. I was really able describe the property and could answer all the questions directly to the prospective buyers that local high street agents might not always know the answer to. E-sale offered good sound advice which I followed. They placed my property on all the major sites and my property gained alot of interest quickly. It sold in a matter of days, not only that but for a fantastic price. I am highly delighted to recommend E-sale to everyone. They offer a hassle free, honest, good service which takes the edge off the stress of moving home. Thank you E-sale! I found the agents on Esale friendly, courteous and easy to deal with. More importantly I found them knowledgeable and their services efficient and effective. The Esale team were available to contact any time and to advise and answer questions (and I have very many of those) all through the sale process. I would recommend Esale to anyone who is considering selling a property and would like to thank Mark and David (who dealt with my sale) and wish them all the best. The customer service at esale was excellent, Mark kept in touch with me throughout the whole selling process and made it so simple, cost me £495 in fees upfront to sell but what a Bargain high street estate agents wanted over £5000 plus say no more. well done esale. Superb personal care from Mark and Dave throughout, even when it got difficult, they were there to advise and solve problems. Their sales progression is outstanding. You’ll have no regrets in using them! The very best available today! Esale found me a buyer in no time at all and then provided constant updates during the solicitor/survey phases of the sale so I always knew what and why things were happening. My buyer’s solicitors weren’t the best but Mark showed great patience and professionalism in dealing with them and I would have no hesitation in using him again. Great company to deal with – responsive, knowledgeable and all at a great price too. Would recommend! ESale have sold our house for us. We have never used an online estate agency before but have been nothing but impressed with the service that we have received. The staff are all very friendly, professional and helpful. They showed people around the house and have seen the sale through to the end. I would highly recommend using them. I had an amazing service from beginning to end. Everyone was friendly without exception and everything was dealt with in a timely fashion. It was a pleasure dealing with Esale and I will be recommending them without hesitation. Dave was always on the other end of the phone if I had any questions. We bought the property Esale was selling so Dave wasn’t even our agent, but he never made me feel like I wasn’t his customer and was always helpful. Thanks Dave & the whole of the Esale team! Great friendly professional people who really care about the sale of your house. Always just a phone call away and nothing is too much trouble for them. From chasing Solicitors up, to general advise they are always there.They made the whole experience a walk in the park, I can’t recommend them highly enough! To prove that I now have another property on the market with them and I am hoping for the same excellent service. Great service, friendly and helpful staff. I would definitely consider using them if I ever sell my house in the future! We were kept informed throughout the process. Easy to get hold of when arranging viewings. Being able to contact the right person when you need is top of the list and esale deliver. Honest and professional from our first meeting to completion, they sold our House within 24 hrs. Amazing value and we will definitely use esale again. E.sale: found us a buyer in super quick time; arranged a solicitor; kept us informed along the way – great service and easy, friendly people to do business with at a very reasonable price. I’ve been totally happy with the service, from putting the house on the market to completion of the sale. I was really pleased with the service I received from esale. Efficient and friendly, answered any questions I had promptly and kept my informed throughout the process!! Absolutely first class service, for 25% of the price of high street estate agents, the same online presence as the other agents, & a realistic valuation of my property. I can’t recommend them highly enough. Extremely well organised and friendly, personal service. They arranged for a professional photographer to visit the house within a couple of days; he measured everything up and the house was on the market by the end of the week. 24 hours later we had our first viewings booked, and the house was sold within a couple of weeks. Literally saved us thousands and would recommend to anyone! Very pleased with our experience with esale. They were efficient and informative, anything we asked for wasn’t a problem. We are now very proud owners of our 1st home! Thank you! What an easy company to communicate with. My concerns of ‘why are you so cheap’ were quickly quashed when they offered to charge us more. Everything just seemed to be so easy and effortless. Communication was continual and within days of going live, we were inundated with viewings. Quite simply, they sold our house and gave a service in exactly the same manner as a high street agent would have done….if not better. We had nothing to loose by using Esale, but we saved a pocket full of money. Cannot recommend them enough and have already provided their details to friends and family. No Problems at all highly recommended . I used two high street estate agents before esale. Both not only failed to sell my property but as it was a fixed price they had no interest in getting a good deal for me. Esale’s communication is excellent, I would highly recommend!! Used esale due to the company offering full services at a good competitive rate much below high street estate agents. I couldn’t have been more pleased with the service and satisfaction during what is supposed to be an extremely stressful time in your life. They arranged 13 viewings over the course of the weekend and had an offer on the table on the first day of viewings. Staff at esale always acted professionally, quickly and efficiently, easing the sale of my house. They explained costs and there were no hidden charges even though they seemed to go above and beyond services originally offered. Would definitely recommend to anybody who wants to sell. ESale were recommended to us by a friend. We found their fee to be competitive and very good value for money. The guys in the office have been more than helpful all the way through the sale of our property and have been on the ball with information, statistics and advice all the way along, demonstrating a wealth of experience in their field. They are also very approachable in their manner, they return calls and respond to emails and we feel genuinely look after their clients. We would like to thank them for selling our property and for being so brilliant and we would not hesitate in recommending them. Just sold our second house through Esale. Friendly and professional service with a fantastic saving! Would definitely recommend. From first contact esale were very helpful and professional, dealing with photography etc and providing regular updates and feedback from viewing right through to our sale completion. We were pleased with Esale from the beginning with the excellent photographs taken of our property for the brochure. We were given good feedback from viewings and felt they acted in our best interests in every way. Dave was efficient in getting the property to the market as soon as we asked and Tim was helpful in passing on more detailed information when requested by viewers. There were setbacks along the way but Mark was always upbeat and positive and we were delighted with the final outcome. We would recommend Esale to anyone selling their property and have done so already. The Esale team were great during our house sale. They always kept us up to date with the progress and I felt very reassured. I would recommend Esale to anyone. Great value for money and I will definitely use Esale again. A big thank you to the team! When dealing with an Estate Agent all you want is for them to do what they say they will. This happened which is refreshing in this day and age. E Sale were the only agents that I was constantly contacted by to update me on viewings and feedback. Whilst other sat on the Ads for my property, E Sale kept finding potential buyers through contacts they had acquired on their database. The process was simple and easy with minimal paperwork and no typical sales patter. The customer service was outstanding from the property listing until the completion. None of complaints! The best care of the client ever. Will use again and with no any doubt will recommend to others! Thank you very much for everything! The team were always available and ready to help. I worked mainly with Mark and he was very helpful and friendly. The process was smooth and esale dealt with the viewings quickly and efficiently. The photographer took very professional shots and we were very happy with the quality and service. Overall Esale saved us £1000s and I would readily recommend them. A lovely company. Had dealings with this company as a purchaser. They were very helpful right from putting in our offer through to the end of a very stressful completion. (Not their doing!!). We heard we’d completed from these guys 40 mins before our solicitors informed us!! I chose to use an online company for the first time to sell my home. Esale were fantastic, they kept me fully informed all the time and sold my home after just two weeks on the market! I would recommend this company whole heartedly. From a selling perspective the service was great. Regular updates on the progress of appointments and interested candidates, plus details of web views and clicks – which gave you a real sense of how your property was doing. For some viewings we never got any feedback but I don’t think this was because of esale themselves, rather the people not bothering to provide feedback. We had a large number of viewings but we expected this as our house was aimed at a niche audience. Throughout I got the impression that esale were on my side, especially when it came to negotiating the final price with the eventual buyer. Would certainly recommend and would use them again. The service that esale provided was exceptional at every stage of the house sale and the moving process. If ever I had any questions they were always ready to find the answers for me in a very friendly and courteous manner. Excellent pictures and marketing material at the outset. Very good service and easy to contact throughout the sale process. Highly recommended. The staff at all times were professional, attentive and sorted any problems the same day. Negotiations with the purchaser were conducted by the agency in a competent and timely manner. The agency does not have a presence on the high street, but this does not detract from the high standard of service. The lower cost overheads feed through to lower agency fees and provide outstanding value to the customer. From a buyers perspective, Esale were just what I needed to drive my purchase through. Thoroughly helpful and always available to take my calls. They performed perfectly as a mediator between my solicitor and the sellers and as such, took a lot of the frustration out of moving home. They would definitely be on my radar should I become the seller in future and would have no problem recommending them to all. I bought a bungalow which was being sold through esale so they were not strictly my agents. Unlike my estate agent, who was selling my house, esale kept me fully informed with the progress in buying the bungalow even though I was not their client. They chased up solicitors in the chain regularly and either phoned or emailed the latest state of play. Both Mark and Dave were professional and courteous in their dealings with me. Esale provides a first class service at a very competitive price and I have no hesitation in thoroughly recommending them. We have used Esale from a recommendation, and wow, what a fantastic recommendation it was, which we will do also. They were easy to talk to, always easy to get hold of, did exactly what they said they would do, and all for such a small amount. Well done guys and thank you, highly recommended people to use. Mark from esale is a very pleasant guy, who did everything to speed the sale through. Excellent price for the service we got. The guys at esale are professional whilst being totally understanding of the real world. The house sale can be very stressing and these guys put your mind at rest and guide you accordingly..
Esale offer a great service and I would highly recommend them. They were efficient, trustworthy and managed to get us the very best price on the sale of our last house. Esale made selling my house stress free and easy. I’ll definitely use them again in the future.